So this month I'm poor. Poor poor poor. I really can't be buying anything, however I appreciate this is a bit of an impossibility given it's Christmas and the month of shopping. However, I'm going to curb myself in and concentrate on spending on others instead. For all of December, as such, I'm only allowed to buy second hand clothes. I'm also going to place a £10 maximum on any one item to stop me heading to vintage shops, which are equally capable of bankrupting me. Hopefully this will encourage me to a) make some stuff, b) be more inventive and c) not be penniless quite as quickly this month! In any case, I've talked about it now, so I have to do it... I hope? We're back in basics land today. It's too bloody cold and I'm seriously surprised I managed to get out the house at all (especially thanks to some pesky insomnia that kept me up til 3am last night. Ah!). This jumper was a real steal at a charity shop, and has sat at the bottom of a draw for ages, until I recently discovered it's amazing layering capabilities. Now it's a definite keeper. Just a quick post today. I went on my weekly pilgrimage down London Road's charity shops today, and happily scored this beaut of a boyfriend-style 80s blazer/coat. It's even got shoulder pads and anchor buttons! It only cost me £5.99, so I'm happy for another week! This top was an impulse buy with some birthday money in July, and shamefully this is the first time I've worth it. However, now I actually know a way to style it, this will definitely get more outings! I've been thinking a lot lately about histories and fatties. I work in a regional film archive, and I really love what I do and the collection I work with. I've spent nearly a year and a half working with national and regional collections, and what it's taught me is the many different histories that can be brought to life when access and interaction is encourage with objects. This doesn't have to be physical access - it could be via online availability of films (something which my archive struggles with, due to limited resources and funding) or a flickr account which encourages people to add their own histories in comments to enhance our understanding of an object. However, inevitably, there is a huge amount of politics concerning what is made available in archives - whose histories are available, and whose remain hidden and relatively inaccessible (unless you're a seasoned archive visitor and know where to look). For instance, my archive holds home made and commercially made films of interest to the South East - however, as film making technology was largely available only to white, middle class families (and the films were largely made by men), the viewpoints we have are intensely biased, and often little understanding of what it would be like to be of a minority identity living in this region - luckily this is something that my colleagues are aware of, and as such our projects seek to target oral histories through different methods, so my hope is that as projects progress this is being actively challenged. Sadly in my role, which is technical, I have little say in what happens in this respect, which I hope one day will change! What I wanted to talk about today was an incident that happened on my first day here. It has stuck with me ever since, and got me thinking about starting a project of my own. The record office in which our vaults are based runs regular screenings of films, and a senior member of staff remarked to my manager that he was fed up of "films of fat kids on the beach at Bognor Regis". As it was my first day I said nothing, but it got me thinking about the availability of images that I could relate to, to the wider public. When you grow up fat, you're made to feel as if you are an anomaly - that your fat alienates you from others, and that you are so different to everyone that surrounds you. Your fat is used to separate you, and dieting is held up as a way to return to this normal state - by dieting, you can fit in at last - both physically in certain spaces (through turnstiles, into the right clothes, into seats and so on). You're NOT an anomaly. You belong in history as much as every other person. Your image, your ancestry and your heritage is just held back because it is perceived as inferior - after all, what else is the image of happiness apart from the white, middle class, thin, heterosexual nuclear family? This is what is held up as normal - and what we are all encouraged to relate and aspire to. My origins are so different from this - I grew up as a fat kid, always bigger than my friends, with a working class trans man as my parent (and often, my entire family). 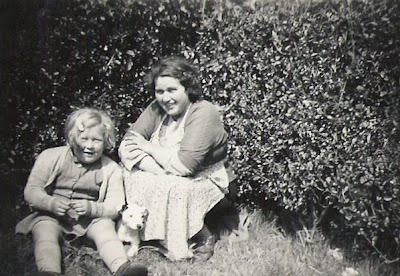 For my identity-forming years, we lived in a middle class suburb (but in a housing association house) and, even though we always had food on the table, were considered the pinnacle of poverty by everyone who surrounded us, because we were so oppositional to their beliefs and ideals. I'm proud of my upbringing, and the person it's made me, and I'm proud of my ancestry, and the line of people from which I was born. Your image is not in visual culture, history and heritage, because if it were, then the concept of the obesity epidemic would have to be destabilised. If fat people existed as anything other than symbols, then dieting could not be held up as a necessity. You are made to feel different to uphold social norms - you're made to feel like the opposite of what you "should" be instead of just part of the spectrum of size and shape. The lack of visual references to aspire to, relate to and feel connected to makes it necessary to change in order to become part of society. 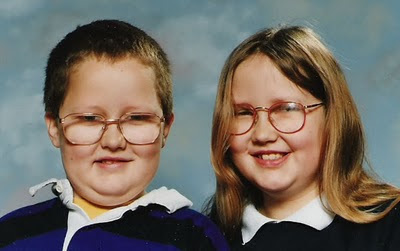 Anyway, to stop ranting, I've been thinking about starting an archiving project outside of work - this in my head would be a flickr group moderated by me to which people can submit photographs of their histories as fat people. This could be fat family photographs, it could be related to fat activist events, or it could be photographs or scans of fatties in notable spaces, places and positions. It could also shift exactly what is meant by fat activism - the definition could be stretched beyond those who consciously identify as an activist to include the amazing people that have influenced us, and to define activism as something which is both conscious and unconscious. If people are without scanners or digitisation facilities, I would happily intercept pictures and scan them for people - perhaps I could coerce others in different countries to help with this too. The group would be moderated only to monitor what was being submitted and commented upon. I would have no strict guidelines as to what determines fat, as obviously this shifts across cultures. Comments would allow people to tell the story of the photograph, and for other people to interact with it also. We could tell a fat history across the fat-o-sphere. Instead of waiting for visual culture to change, we could make a new one ourselves - one founded upon DIY ethics, . Anyway, um, I'm starting to think seriously about it, and by talking about it online and in real life, I'm hoping to kick my arse into gear and actually do it! What do you all think? I'd love some feedback, constructive comments and any willing offers of collaboration! So I'm thinking about Christmas this year, and writing my ridiculously overelaborate wishlist for one of my parents... otherwise known as the youwish-list! 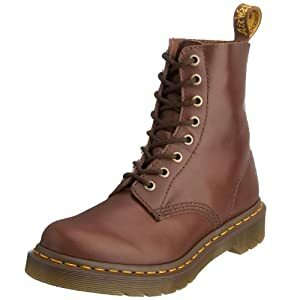 This year I am hoping that I might be gifted with a new pair of docs, in dark brown. I haven't worn docs in years, though I have had many a pair of rip-offs! However, the release of these in a beautiful brown makes them infinitely more versatile in my mind - I can see them teamed with the majority of my dresses and a cute satchel. On the subject of satchels, my reserve present (in case the boots prove hard to find) is a gorgeous satchel from The Cambridge Satchel Company. They come in all varieties of size and colours, but I'm drawn to the 15" in red. I can't even describe how many years I've lusted after one of these - and how many second hand satchels I've broken during these years! I'm too fickle to make statement purchases normally, but boots and satchels are definitely exceptions. Here's hoping! These awkward attempts at poses were sponsored by Blondie and this stubborn swimming costume. This is a bit old now, taken during the time of no internet, but features possibly my most favourite vintage item ever - a boned strapless swimming costume, which I often wear as a bustier in evenings, and cost me about £7 from 21st Century Retro on Holloway Road (best vintage shop ever). So last week I was lucky enough to attend the third ESRC Fat Studies seminar, hosted by Charlotte Cooper at Stratford Library. As well as getting to see my fellow fatty and wondrous friend Caroline Walters speak about fat and kink, there were also many many amazing papers from some amazing academics and activists including Stacey Bias, Sondra Solovay, Bill Savage, Sam Murray and Mike Wyeld. It was an emotional couple of days, but so so inspiring to be in the same room as so many amazing people... even with my inevitable social uselessness and awkwardness. So, on the second day Kay Hyatt (who was speaking about the Big Bum Jumble) bought in the leftovers from the jumble in August. We were all asked to give what we could for our finds, and this was one of mine! It's a vintage wrap dress in a lovely brown floral. I also found a paisley vintage shirt dress, a stripey sundress and a brown cardigan with a leopard print fur collar. Topped off with my vintage brown coat, which was an amazing find in Edinburgh PDSA shop earlier this year. This came with a matching skirt that was too small - the set was £19.99, but I then sold the skirt for nearly £40 on ebay! So, cape = -£20! Bargains galore. Gosh, I have the internet again. Here's another etsy recommendation. Hissyfitoly is one of my most favourite etsy sellers. 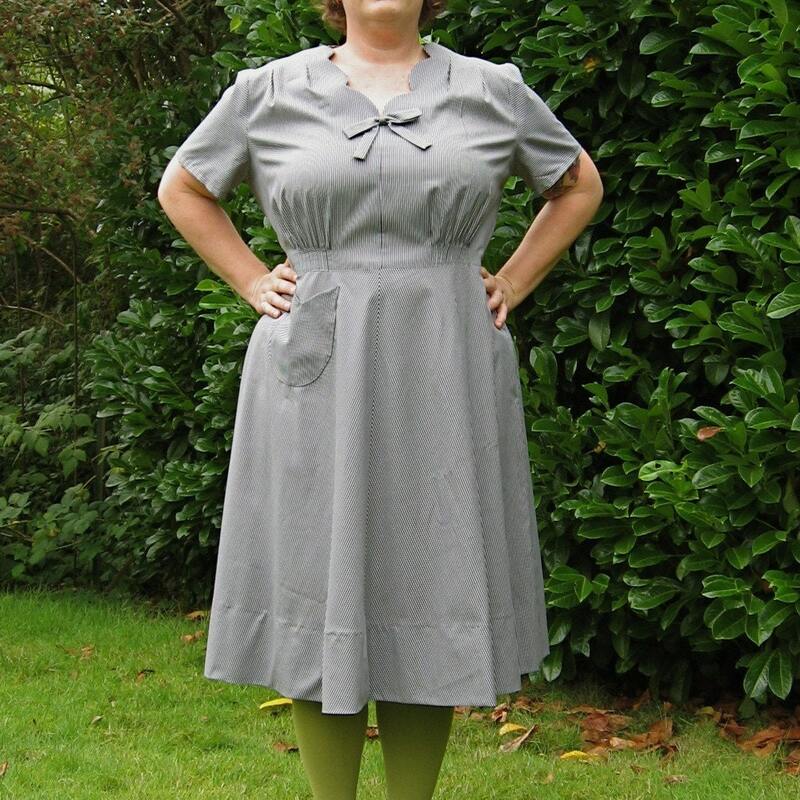 She uses vintage fabrics and vintage patterns to produce repro retro dresses which will suit most sizes (she'll custom for any that aren't catered to). This beaut is too large for me and more suited to a more hourglass-y shape (56" bust, 43.5" waist) but highlights her immense skill set. Her custom work is also very reasonable. Generally she can make a dress again to fit a different shape for the same price. She also makes the most awesome uterus skirts, of which I had this one custom made for $40 for a birthday present from my boyfriend last year. I've bought two things from her previously, and I have to say that her tailoring skills definitely make her clothes worth that little bit more. Just a brief post to say that I'm currently internet-less, so am temporarily disappearing from the blogging world. I'll be back in a week or so (I hope)! Oh, also, I'll be at the Fat Studies conference in London next Thursday and Friday. Is anyone else going? Do say hi if so!